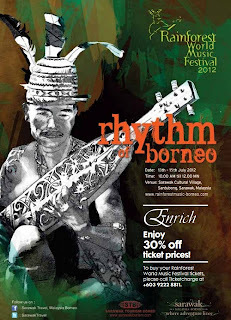 Rainforest World Music Festival 2012 is back again for the 15th year from the 13-15 July and held at the Sarawak Cultural Village near Kuching. This year’s line up promises something different as local Malaysian star Zee Awi makes her debut here for the first time. This is one of the biggest and longest running unique concert in the history of Malaysia and held in the heavily cultured state of Sarawak. A show not to be missed, many international performers make their way here to showcase some of the best cultural music in the world. Every year in mid July, thousands of music lovers travel across the globe to the Land of the Hornbill otherwise known as Sarawak on the island of Borneo. 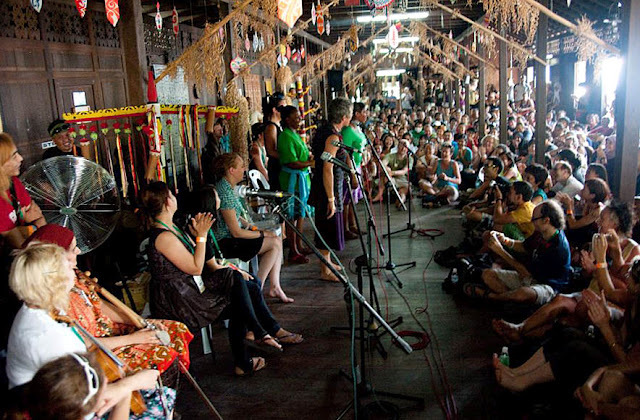 Converging at Santubong, a 45 minute drive from Kuching, the capital city of Sarawak, it is like an annual pilgrimage for these music lovers who come to attend the Rainforest World Music Festival (RWMF), which has been voted by Songlines, a renowned world music magazine for 3 consecutive years as the top 25 international festivals. 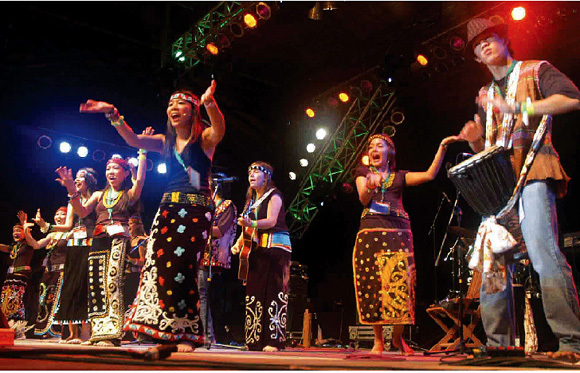 This annual event, now in its 15th year, is organized by the Sarawak Tourism Board and is a three day celebration of daytime music workshops and action-packed nightly shows. This festival is a not-to-be-missed occasion in the heart of the Borneo Jungle. This is where people regardless of their ethnicity, cultural backgrounds and music interests come together for three magical days for a fun filled, wholesome festival experience with a country fair atmosphere amidst lush greenery. If you have not purchased your tickets to the festival, now is the time to do so as promotional tickets are now available online and selling fast. Limited tickets for daily passes to the festival are being offered at 50% discount. These offers will be a great way to experience a truly memorable musical extravaganza amidst the lush green paradise that is Sarawak. 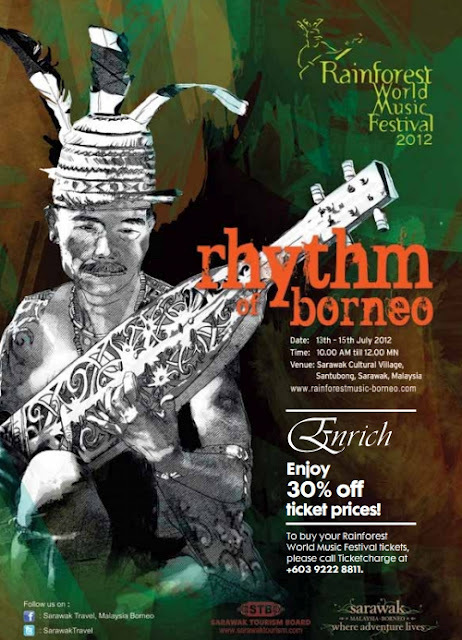 Rainforest World Music Festival (RWMF) has been voted for the 3rd consecutive year in 2012, as one of the top 25 Best International Festivals by renowned world music magazine, Songlines. i hear about this festival from my friend. he tell me that it was a awesome festival. 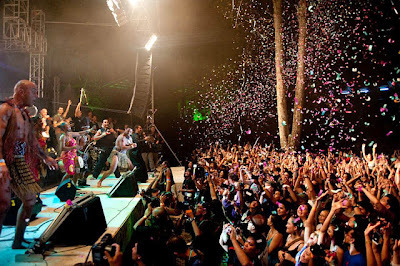 can anyone provide me the detail that when this festival will be organized again. i am desperate to see this festival live.